The wide variety of hairstyles for thin hair proves that nowadays, men with a receding hairline don’t feel deprived. Instead, they take pride in their hair and manage to style it in the way that even the most stylish celebrities (who, by the way, also face this challenge) would feel jealous. The hairstyles for thinning hair range in length and shape, texture and styling. They can be sported alone or paired with some facial hair. 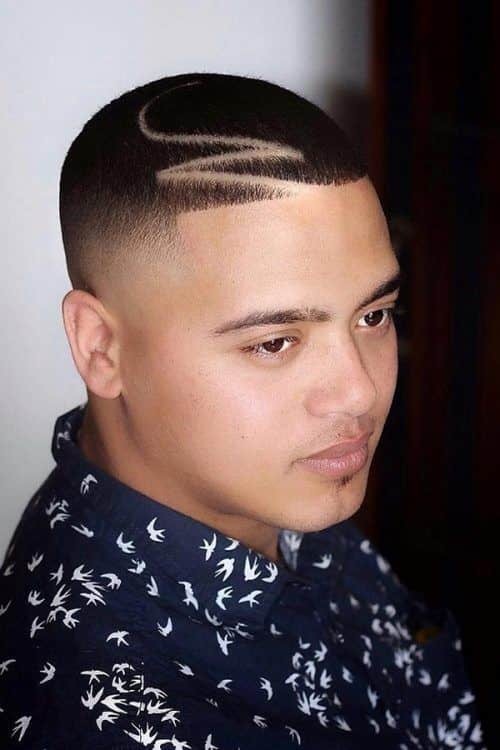 If you’re thirsty for some really trendy and mannish hairstyles for impaired hairline, you can get a dose of inspo here. 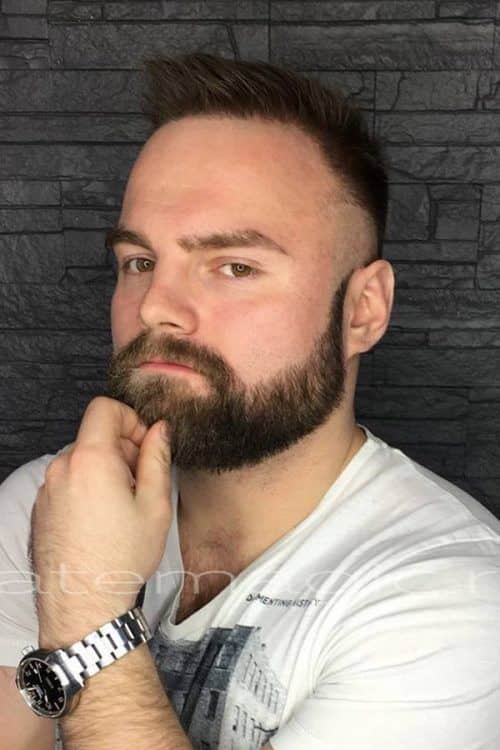 Keep the sides shorter than the top. Opt for messy hairstyles rather than slicked ones. 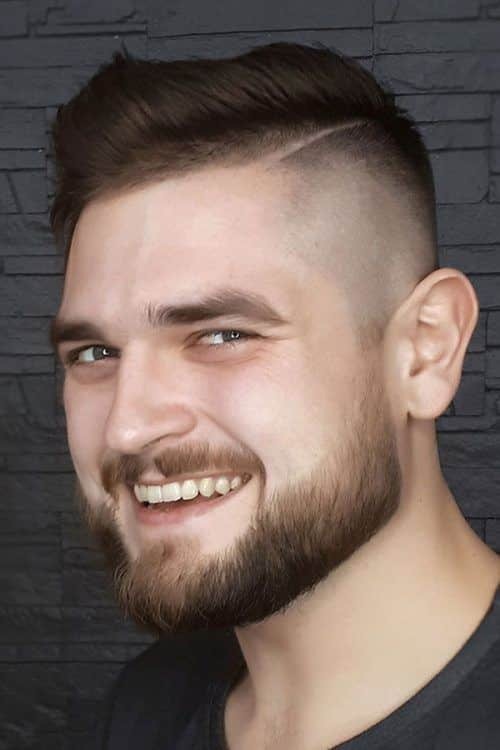 Pair your hairstyle with a bunch of facial hair. Use styling products with matte finish. There are many different causes of thinning hair ranging from genetics to ecology. Trying to battle them in most cases equals fighting with your own shadow. Instead, find men hairstyles that not only mask your dispersed hair but also flatter your face shape, its features and your overall style. 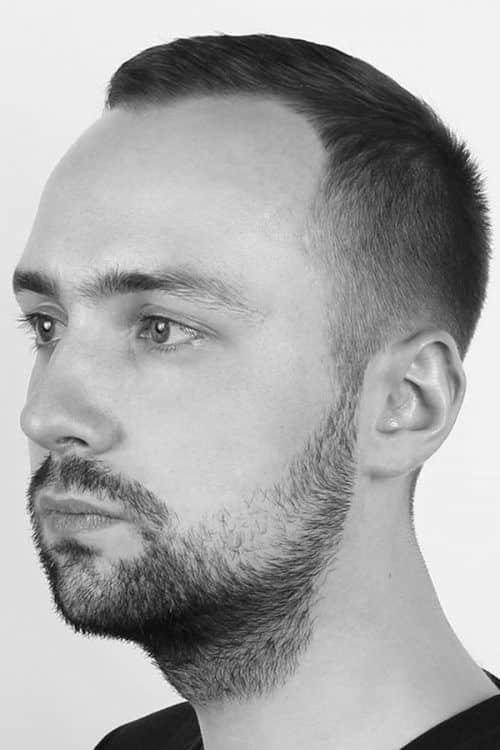 Short mens haircuts may seem the answer to all of the thinning hair questions. However, short doesn’t mean bald, so think twice before grabbing clippers or, what’s worse, a razor. Opt for the cut with much shorter sides and back, as by creating contrast, they garner all the attention instead of the top. 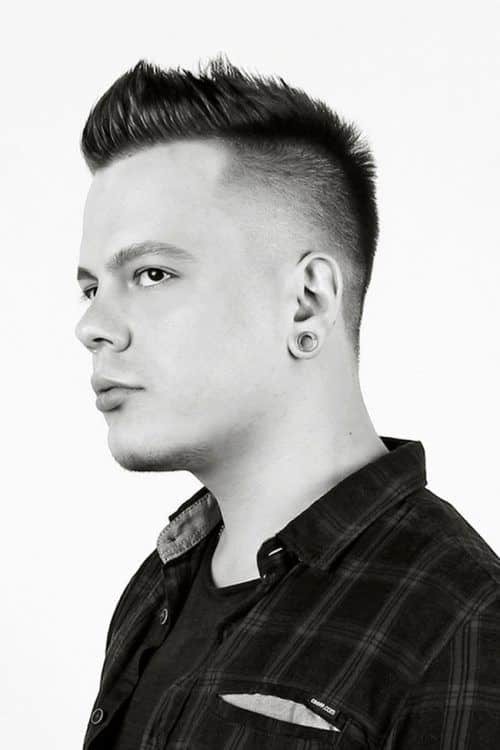 A quiff is one of the most popular mens haircuts for thin hair. However, styling is the key to mastering this ‘do. Don’t place your quiff over the forehead! Style it a bit forward and up, which will give a daring and upscale appearance. 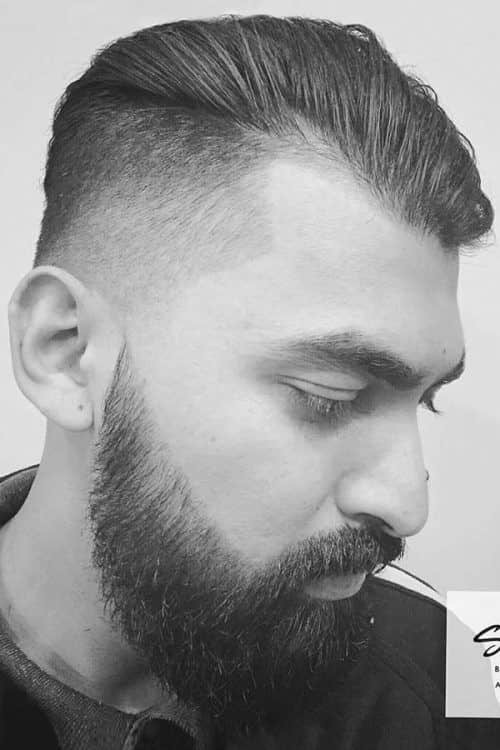 Messy hairstyles for thin hair men are a must. Forget about sleeking and smoothing. 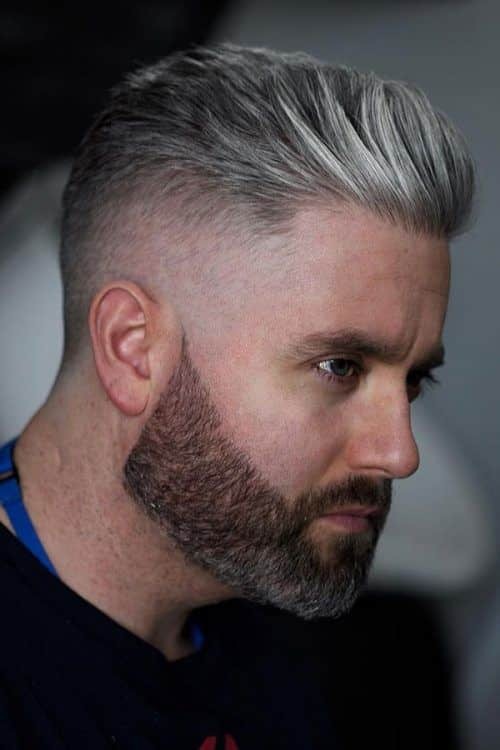 The more spiky hair you have the less visible your thinning hairline is. Even with all their possibilities and money, even though appearance is their calling card, celebrities also have thin hair and aren’t afraid to reveal it. 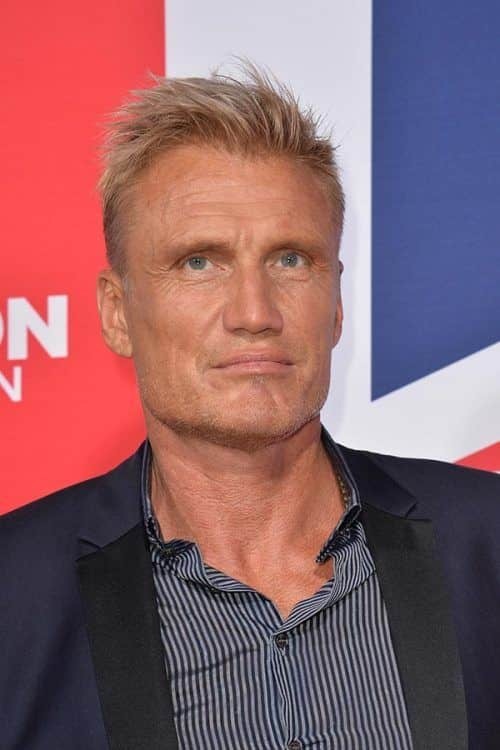 Dolph Lundgren knows how to sport his receding blonde locks so that they make him a real hunk. 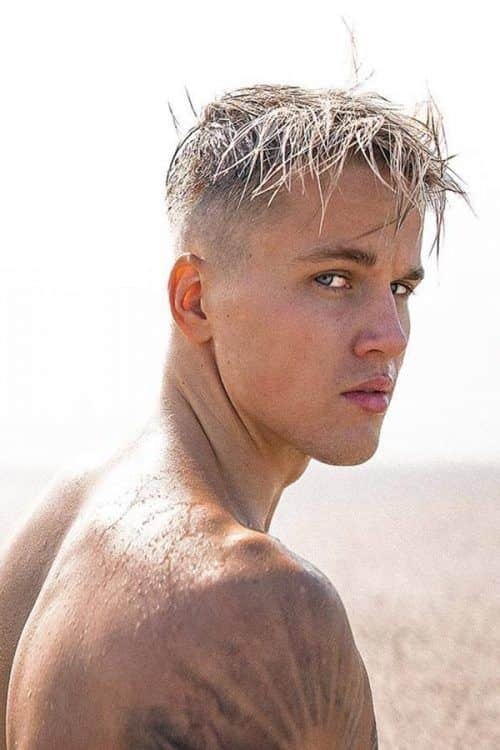 Messy and spiky haircuts for men with sparse hair are always a winning solution. 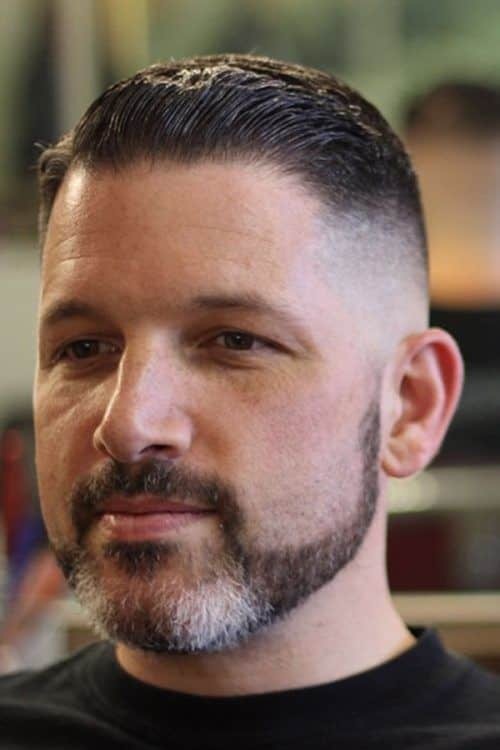 A military take on the haircuts for thin hair is the high and tight. With its extremely short sides and a smattering of hair on top, it creates the impression of a fuller head of hair. 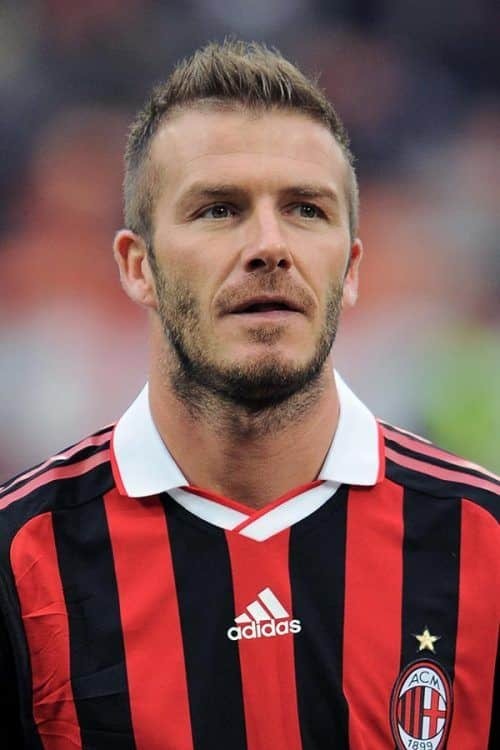 Believe it or not, but David Beckham hair has also undergone some ageing changes. Though, the soccer legend doesn’t seem to get upset about it and successfully sports the hippest haircut styles for men with thin hair. 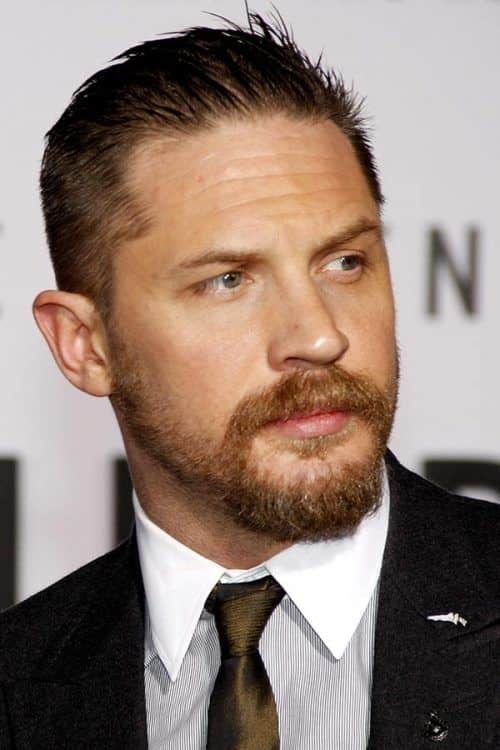 Our list of hairstyles men with a bad hairline rock wouldn’t be full without a bad boy Tom Hardy. The fact that his hair is getting thinner has been noticed for quite a while now. However, it doesn’t stop him from being one of the biggest heartthrobs of Hollywood. When silver streaks touch your locks, it’s better to narrow down your hairstyles range to mens short haircuts. In this way, your new hair color gains additional texture and dimension. Another staple of short hairstyles for thin hair is a buzz cut. In addition to disguising your balding scalp, it offers you low maintenance and business-appropriacy. Even though a buzz cut is so short, it doesn’t mean you can’t pair it with fade haircuts. 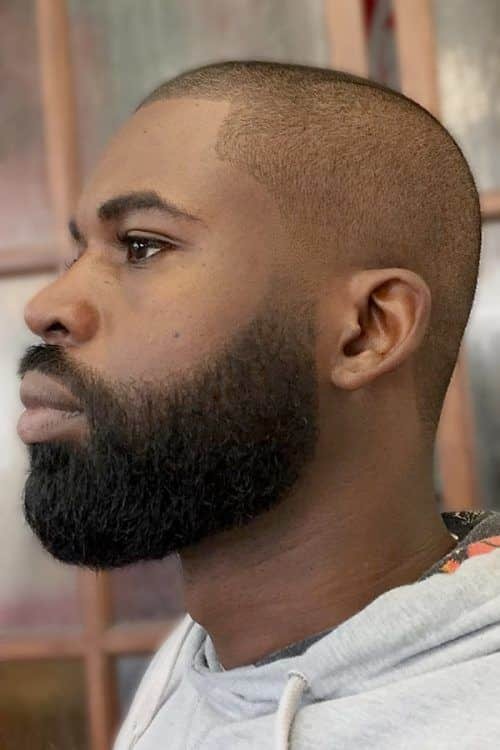 This combo works perfectly for even the most coily locks, which makes it one of the most popular black men haircuts. 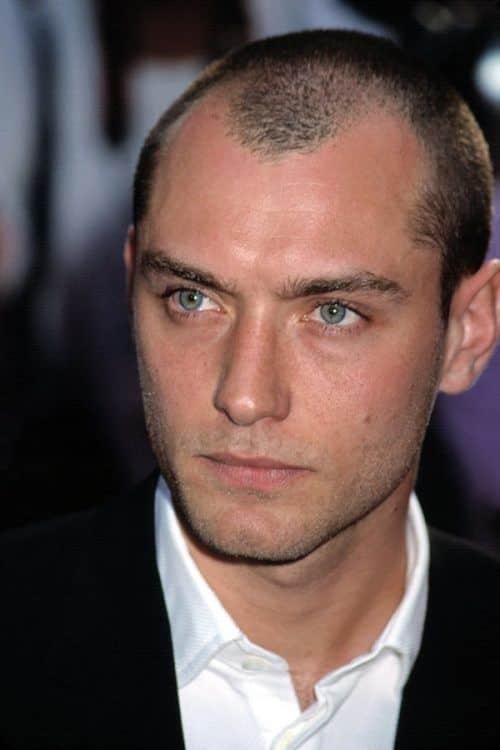 It’s a common fact that Jude Law’s luxuriant mens hair has been replaced with a widows peak. Of course, we were upset at first. But, at the end of the day, it wasn’t his only attractive feature, right? 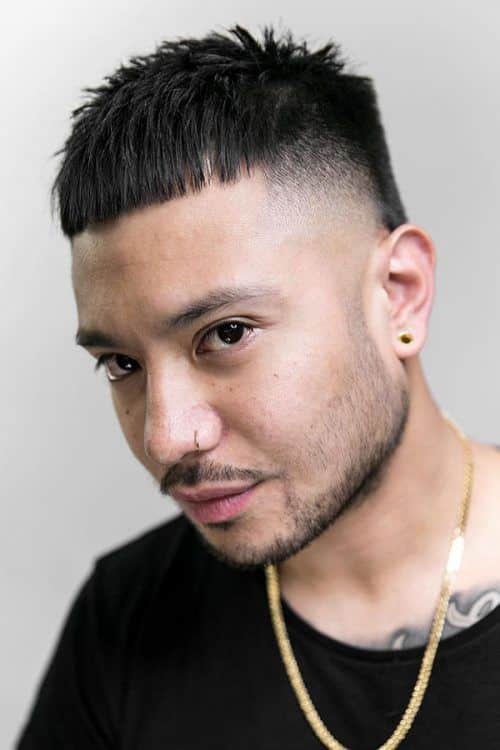 Layered haircuts are a perfect choice if you want to give the illusion of having voluminous and dense thatch on the head. To create enough texture, use special styling product for guys haircuts. If you gravitate to punk short hair cuts, thinning hair isn’t the reason to give up on them. 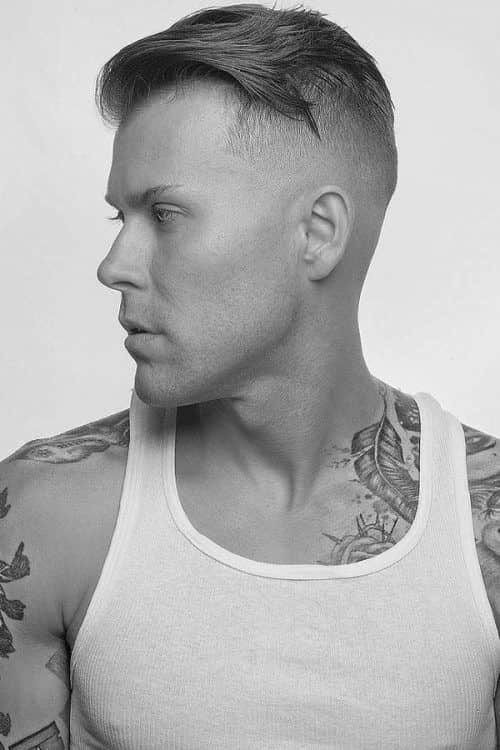 Give the sides a skin fade while leaving some hair on top and back of the head. Push the top hair together so that it looks pointy and reminds of a real Mohawk. 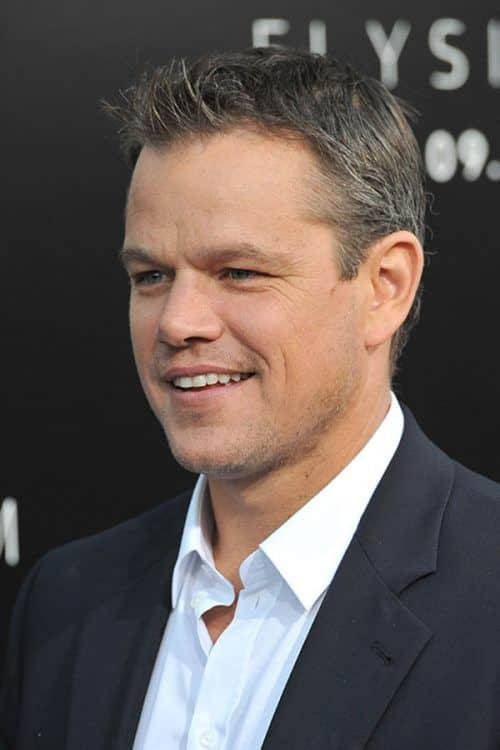 You may speculate that we included Matt Damon in our list of hairstyles for men with thin hair too early or off-base at all. However, we can already trace the signs of thinning hair on his head. His all-time favorite Ivy League haircut is the one that deserves some credit for Matt’s timeless look. We still insist that slicked mens short haircuts aren’t the best choice for thin hair. Unless your thatch is thinning not in the front but in the crown instead. In this case, you can try to pull off a swept back hairstyle to cover your problem area. A traditional pompadour is a gold standard of mens short haircuts for follically challenged guys. A pompadour fade draws the whole attention away from the back and focuses it to the front. 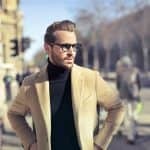 This hipster slicked back haircut with a drop fade proves that mens short haircuts for thinning hair can be stylish and trendy. 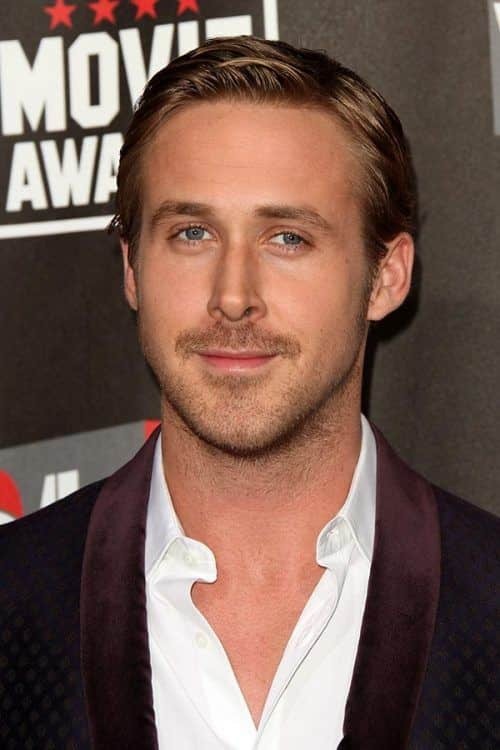 Ryan Gosling haircut has become more mature as the actor himself. From boyish messy spikes to a classic La-La Land comb over. What a welcome change! 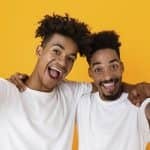 You can take attention away from your thinning hair not only by means of modern haircuts for men but also by growing out some facial hair. If you’re struggling with a receding hairline, you most likely shy away from long haircuts. However, this doesn’t concern beard styles, as you can go as long as you want without the risk of revealing your thinning fur. 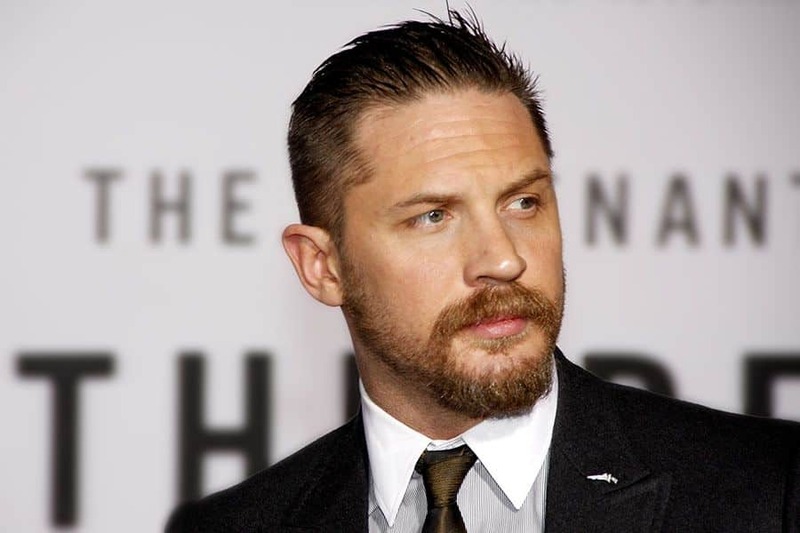 For mid length hair, the beard style possibilities are endless. 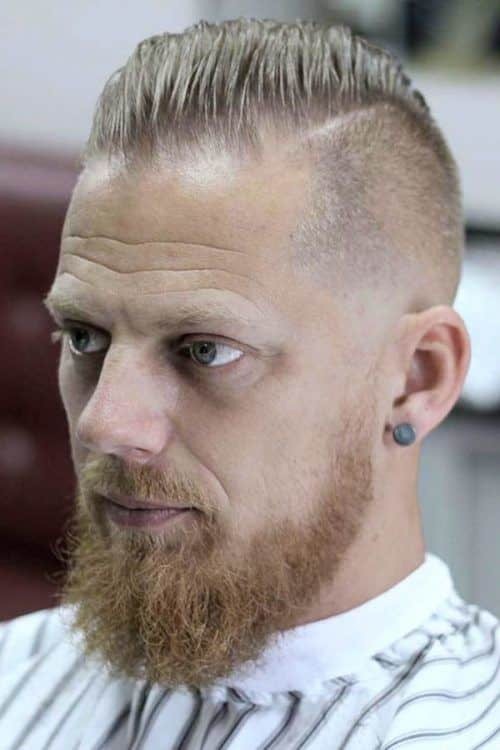 You can go with long or short facial hair for a contrasty look or trim it to the medium length to echo the hairstyle. Surely, we can’t say that hair loss is a blessing. However, it’s not a death sentence either. With the sheer variety of hairstyles for thin hair, there’s definitely at least one that’s worth having in your stylistic box.